We have resources to help you overlay your language into many different titles. Due to copyright issues, each video project needs to be initiated and approved through our International Media Project Coordinator. Our pre-made video shells allow recording specialists to synchronize lines of script with the video timeline. Also, in considering a video for your language project, we suggest first evaluating the material to see if it fits in with the target culture. It is essential that you read through the IMS Shell Video Manual as you consider a Scripture based video. Experience again the power of God and the unity and compassionate fellowship of believers! A dramatic, word-for-word narration from the text of the book of Acts, this video features noted actors and stunning cinematography. Our version of the four-part video has been edited specifically for language/translation teams. Total running time: approximately 3 hours. The Luke video contains, word-for-word, the Gospel of Luke, divided into sub-sections. It is available as a multi-voice script which requires several speakers. There is also a single-voice narration version of Luke available, and there is an Audio version with no video. Total running time: 4 hours 15 minutes. The Genesis video follows the stories of Genesis chronologically. The video is divided into 18 episodes of 15 to 20 minutes each. Total running time: 5 hours 20 minutes. The Genesis video can be used in its entirety, or any of the 18 episodes can be produced individually. This video can be recorded with multiple speakers, or as a single-narration video. This is an abridged version of the Genesis video lasting 90 minutes. It is an overview of the book of Genesis which can be watched in one sitting. The Story of Genesis video can be recorded with multiple speakers or as a single-narration video. From Creation To Eternity, presents the Bible from Genesis to Revelation in a chronological storytelling format. Using a mixture of drawings, animation and real life images, this panorama of the Scriptures highlights God’s plan to rescue fallen mankind. Total running time: 76 minutes. The VISUAL BIBLE GOSPEL of JOHN video, released in 2003, reflects the advances in film making over the years compared to many other popular scripture videos. It is the story of Jesus’ life as recounted by the Gospel of John on a word-for-word basis from the American Bible Society’s Good News Bible. This film follows John's gospel precisely, without additions to the story from other gospels, or omissinos of complex passages. Total running time: 3 hours. The Hope video presents the story of God’s promise for all people. It combines video segments from other productions with original footage in a chronological storytelling format from Genesis to Revelation. Easy to dub! Highly recommended! Total running time: approximately 80-minutes. The Parables of Jesus include 7 video parables of Jesus complete with scripts which can be translated into any language. This production produced by International Media Ministries, has been developed into a dubbing format which can be used to record voices for the narrator and characters. Parables include the Dinner, the Good Samaritan, the Lost Son, the Manager, the Midnight Visitor, the Treasure and the Pearl and the Unmerciful servant. The Lumo Project" production of the Gospel of John was filmed in Morocco. It is an authentic, visual and artistic representation of the Holy Land of 2000 years ago. As a "voice-over" narration, the viewer can focus on the words of the Gospel as the background images and dramatization reinforce them. This version of John is now available. The Lumo Project version of the Gospel of Mark is a new and highly versatile film produced for a variety of global audiences. Designed to promote biblical literacy in both churched and non-churched groups, it is a product of the latest historical research. 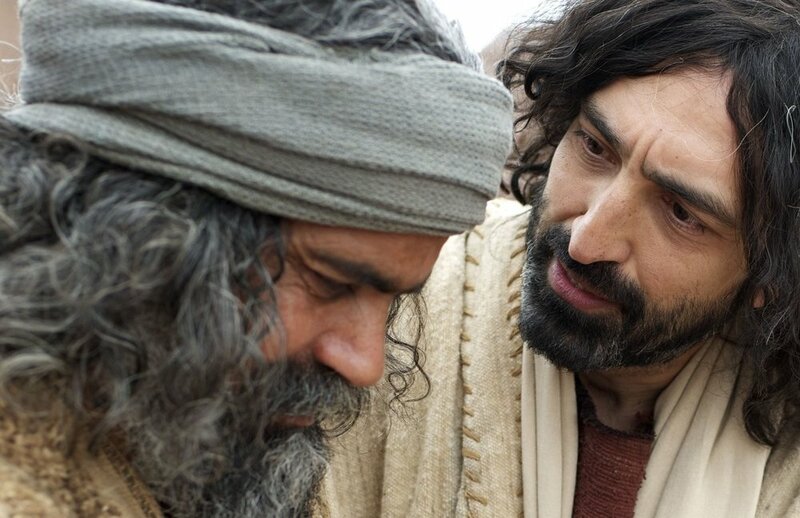 The filmakers strive to accurately depict first century Palestine and present a non-westernized Jesus. The Lumo Project version of the Gospel of Luke is now available. Designed to promote biblical literacy in both churched and non-churched groups, it is a product of the latest historical research. The filmakers strive to accurately depict first century Palestine and present a non-westernized Jesus. As a "voice-over" narration, the viewer can focus on the words of Luke’s Gospel as the background images and dramatization reinforce them.